So instead, it was back to the Dean Turner stage, this time to enjoy the super cool vibes of Koi Child, bringing hip hop with style and flair – and not as expected. That horn section brings funk, jazz even a little soul, especially live on stage. 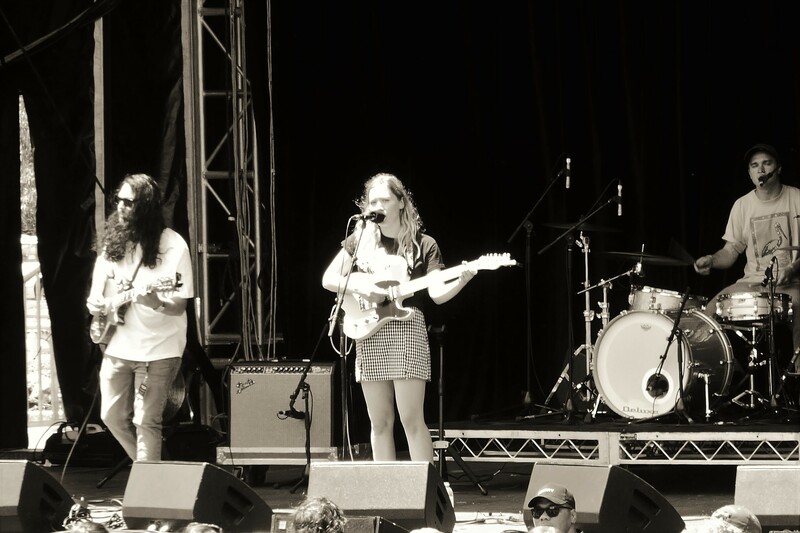 On the ground, it was enough to get everybody grooving along so taking a few moments to chill out to the gorgeous vocals of Julia Jacklin sharing her story telling ways. Being hypnotised by sounds and words seemed like the perfect balance to recharge. 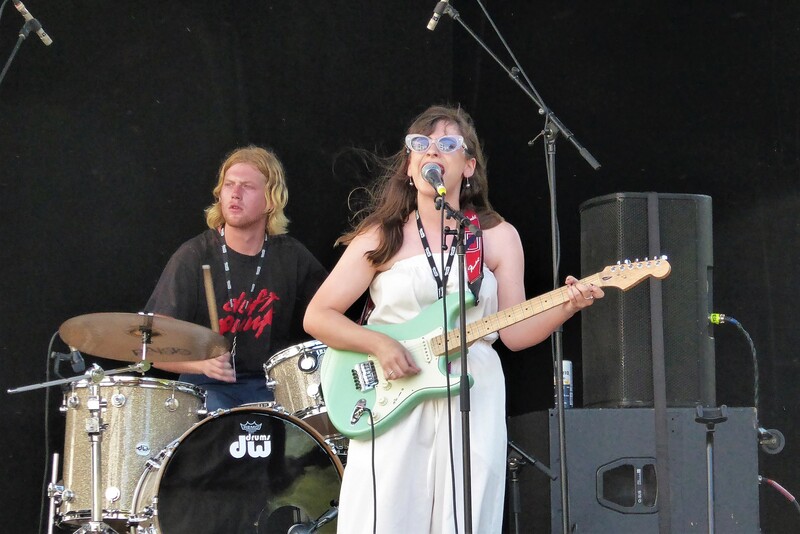 As awesome as it was to see such a big crowd gathered for Camp Cope there wasn’t even the slightest chance of seeing anything on the stage, unless opting to watch the screen for the people in the way, way back. This was already the second fail in trying to hit the Very West Stage for some tunes – and then the third came with missing out on any view from the stage for King Gizzard & the Lizard Wizard, at least the sounds were phenomenal! Thankfully there were many other stages to lurk around in the search for tunes. 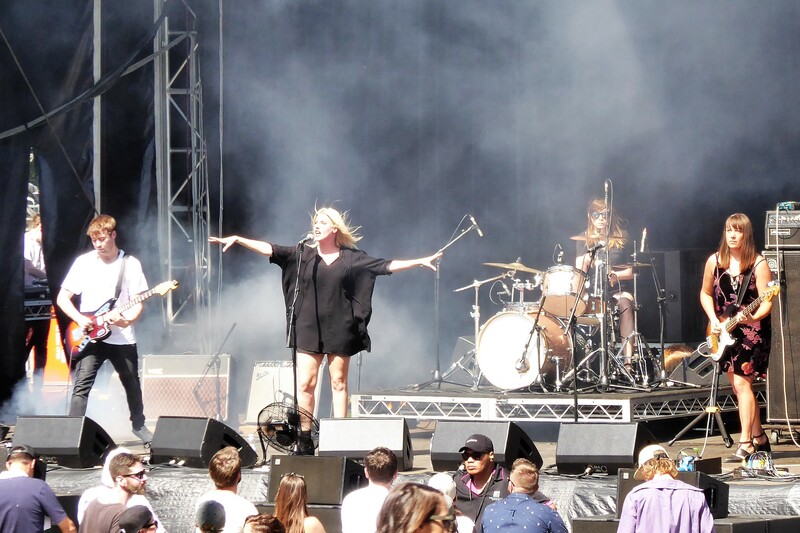 There were top tapping tunes to enjoy with Whitney and the drum-fronting set up, and doses of rock in different strengths courtesy of White Lung and Car Seat Headrest. By late afternoon, the heat had certainly made itself present and there was little relief on offer at the Spinning Top stage. 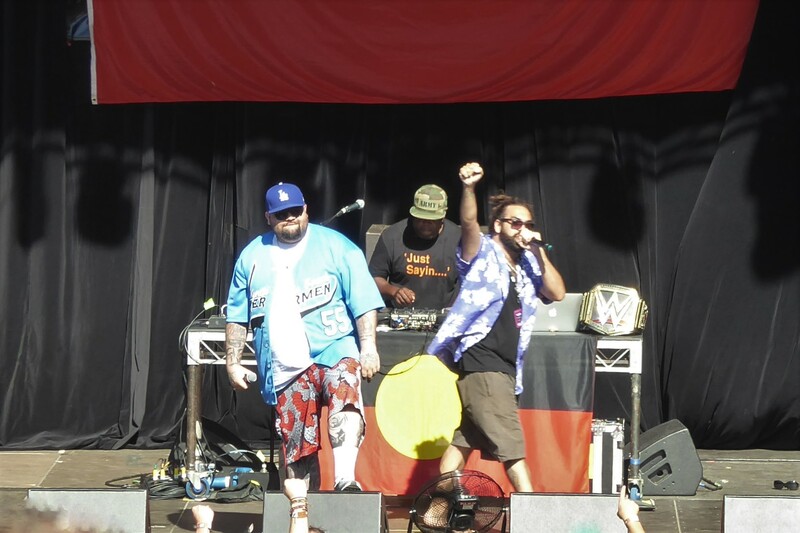 But with A.B.Original ready to hit the stage, the people kept coming in droves to hear the openly politically charged hip hop on offer. Tasmania’s Luca Brasi, brought their punk rock ways over to the mainland for a solid set, clearly with no shortage of fans to entertain. Then it turned out that quite a few other people also wanted to check out D.D Dumbo live and performing with a band in tow – an impressive feat, and a far cry from the solo performances to a handful of people as an opening act not too long ago. In need of a dance, people gathered in droves to check out Gang of Youths, delivering the entertainment as always. By the end of the night, Tame Impala had enticed most of the punters over their way while a smaller party converged around the dark stage and its flashing lights, home to Jagwar Ma to bring the night to a close.